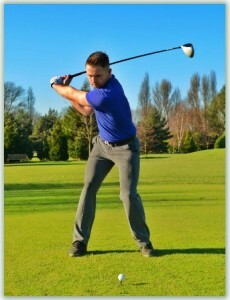 Welcome to James Irons Golf – the home of Golf Lessons West London. I am a PGA Teaching Professional based at Dukes Meadows Golf Course in Chiswick, where I provide golf lessons to clients in West London throughout the week. Golf has been a huge part of my life for as long as I can remember – my father was a golf fanatic and my sister is also a qualified golf professional – it’s definitely in the blood! I have been providing golf lessons in London since I qualified as a full-time golf professional in 2008. I can offer golf lessons on an individual basis as well as group tuition, and also specialise in coaching youngsters having run the Junior Coaching courses at Dukes Meadows for many years. I also offer state-of-the-art video analysis lessons and on-course tuition too – please check out the ‘Golf Lessons‘ tab above for more details. Well I suppose you will need to know how to get to me for your golf lessons! Dukes Meadows is located around a 15 minute walk from Chiswick mainline station and the 190 bus stops on the A316 just by Chiswick Bridge which is 5 mins from the main entrance on Dan Mason Drive. Thanks for stopping by and please contact me directly for more information on my services. Alternatively you can contact me directly on 07879 652367 or phone the pro shop on 020 8994 3314 ext 2 and ask for James. You can also read my blog posts which feature all of the latest news in the world of golf. If you live in West London and in these areas – Chiswick, Ealing, Acton, Hammersmith, Kew, Brentford, Richmond, Twickenham, Barnes, Putney – we’re easy to find, and hope to see you soon.